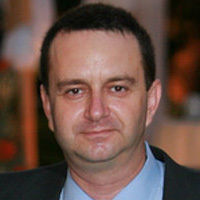 Dr. Mordechai Duvdevani graduated from medical school at The Sackler school of medicine – Tel Aviv University in Tel Aviv, Israel. 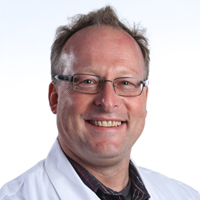 He completed his residency in Urology at Sheba medical center between 1999 and 2005 followed by a fellowship in Endourology and laparoscopic surgery under Dr. John Denstedt at the University of Western Ontario in Canada. He returned to Jerusalem, Israel and joined the Department of urology at Hadassah university medical center in 2006 as the director of endourology and lithotripsy. Dr Duvdevani alongside his intense clinical practice is the director of a fellowship program recognized by the endourological society, dedicated to teaching and research with over 100 publications. Dr, Duvdevani's research interests include endoscopic and minimally invasive surgery; urolithiasis; lasers, upper tract TCC, prevention of urinary tract infections and stent encrustation. Oberarzt Privatdozent Dr. med. univ. Being born in South Africa I completed my basic medical training at Tygerberg hospital at Stellenbosch University. After housemanship in the departments of ophthalmology, orthopaedics, internal medicine, paediatrics and anaesthesiology in Windhoek, Namibia, I continued my specialist training at the departments of surgery, orthopaedics and urology at the Tygerberg hospital in the Western Cape near Cape Town. Since 1986 when I performed my first operation- a caesarian section-, I gathered extensive experience in operative urology including transplant urology, paediatric urology, prosthetic surgery, endourology, trauma urology and reconstructive urology. After more than 15,000 surgical procedures in 34 different countries around the globe, I am very privileged to have been closely involved in the lives of many patients. Teachers and professors that significantly influenced my medical career as a surgeon include Don F. Du Toit, Gustav Witters- Vansteenkiste, Martinus L.S. de Kock, Chris F. Heyns, Abrie Schmidt, Rudolf Hohenfellner, Margit Fisch, Mohamed Ghoneim, Hassan Abol- Enein, Marcus Riccabona, Alberto Peña, Klaus Jeschke, Helmut Madersbacher, Georg Bartsch, Ferdinand Frauscher, Don Skinner, John Stein, Jens Rassweiler, George Webster, Gerald Jordan, Ed McGuire to name just a few. My specialist urologist career started in 1996 and took me to positions at the universities of Stellenbosch (South Africa), Leicester (United Kingdom) and Innsbruck (Austria). In Innsbruck, I completed my habilitation: “The Transobturator Retroluminal Repositioning Sling in the Treatment of Male Postsurgical Urinary Incontinence: The Augmentation of Residual Urinary Sphincter Function by Distal Urethral Sphincter Support”. After being 20 years at the university hospital in Innsbruck, my full time practice today includes reconstructive urology including neurourology, female and paediatric urology, urethral, incontinence, prosthetic and post-irradiation surgery. Medicine and surgery has changed dramatically during my lifetime, remembering the first heart transplant by Christiaan Barnard in Cape Town in 1967 when I was five years old. One of the big challenges today has crystallized to be the training of the surgeons of tomorrow. It is an honour to be an invited speaker, and I really hope to contribute to the academic programme. Nothing would make me happier to be able pass some enthusiasm and inspiration to the next generation. Christopher Chapple is a Consultant Urological Surgeon at Sheffield Teaching Hospitals, Honorary Professor at University of Sheffield and Visiting Professor at Sheffield Hallam University. 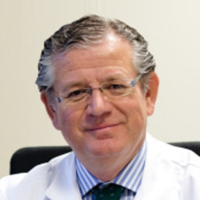 He is particularly interested in functional reconstruction of the lower urinary tract and the underlying pharmacological control mechanisms, and provides a tertiary service in lower urinary tract reconstructive surgery. He trained at the Middlesex Hospital where he completed his doctorate thesis. He continued there and the Institute of Urology in London for his sub-specialist training. 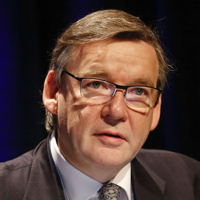 He is Secretary General of the European Association of Urology, having previously been Chairman of the International Relations Committee, Adjunct Secretary General Responsible for Education, and Director of the European School of Urology. 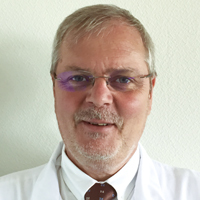 He is the Coordinator of the European Reference Network (ERN) for rare urogenital diseases and complex conditions (eUROGEN); a network of 29 healthcare providers across Europe. 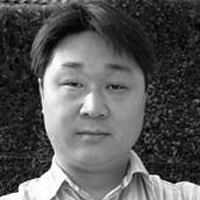 He was editor-in-chief of the journal Neurourology and Urodynamics from 2006-2016 and is on the editorial board of several international journals. 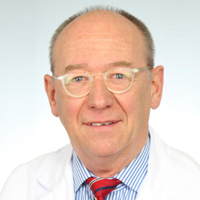 He is an active member of many urological associations and societies including the British Association of Urological Surgeons, the European Association of Urology, the International Continence Society, the Association of Academic European Urologists and the American Association of Genitourinary Surgeons. He has chaired a number of guidelines initiatives including the NICE GDG on Male LUTS and the ICUD Consultation on Male LUTS. BAUS awarded him the St Peter’s medal 2011 and SUFU awarded him the Lifetime Achievement Award in 2015. Prof. Chapple has co-authored 750+ articles, comments and letters in peer-reviewed journals, and has written several chapters and books. I graduated in Semmelweis University of Medicine in Budapest in 1982. Since 1991 I work at the Department of Urology of Hôpital Henri Mondor –Université Paris Est Créteil. My main field of interest is surgery of urinary stone disease. It underwent tremendous evolution. Our department is well equipped and we perform virtually all presently available stone surgery techniques: extracorporeal shockwave lithotripsy, rigid and flexible ureteroscopy, standard, mini, ultramini and micropercutaneous nephrolithotomy. For many years, we do our percutaneous surgeries in the supine position which allows endoscopic combined intrarenal surgery. I teach these techniques at national and international levels in my department and also in several European countries and North Africa within the frame of workshops and masterclasses. I am member of Association Française d’Urologie, European Association of Urology, Endourology Society, ESUT, EULIS, honorary member of Hungarian Society of Urology.